If you are a business owner, an author, an inventor, or an entrepreneur, you should consider talking to a qualified IP attorney in Charlottesville, VA who can help you maximize and protect the value of your intellectual property. Whether you are just getting started in your business or creative venture, or if you have been at work for some time, there are likely many things that an intellectual property attorney from the law office of Dale Jensen, PLC can help you to protect your hard work and help you grow your enterprise. What Are the Three Major Forms of Government-Issued Intellectual Property Protections? Some forms of intellectual property are safeguarded through the utilization of non-compete clauses and non-disclosure agreements enforced by the parties that choose to make use of these contractual tools. But many forms of intellectual property are protected through government-issued legal safeguards. Once inventors, artists, creators and innovators have properly secured these protections, they become enforceable in court with the assistance of professionals like Charlottesville, Virginia IP attorneys. Once enforceable, these rights become better protected against would-be infringers. Similarly, once safeguards are in place, it becomes harder for others to accuse you of infringing upon their intellectual property rights by using your own creative work. Technically speaking, an original work of authorship or artistry (literature, drama, visual art, architecture, musical compositions, etc.) is copyrighted as soon as it is “created and fixed in a tangible form that it is perceptible either directly or with the aid of a machine or device,” according to the U.S. Copyright Office. However, these copyright safeguards generally only become enforceable in court once that copyright is registered with the government. The registration process is relatively straightforward and progresses quickly once an applicant and a Charlottesville, Virginia IP attorney work together to compile necessary documentation. By contrast, securing patent protections is a process that is notoriously complex and time-intensive. These protections extend to certain asexually reproducing plant species/hybrids, manufactured products, processes, machines and irremovable designs of products and machines. In order to qualify for patent protection, an eligible work must be new and novel. Unless one is applying for a plant or design patent, the work in question must also be useful. It is critically important to work with a Charlottesville, Virginia IP attorney as soon as your invention is complete in order to protect your work against emerging sources of prior art. 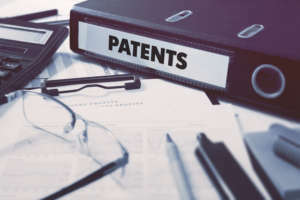 Failure to act quickly could lead to a patent application rejection, which may result in an inability to use your work publicly and/or profit off it. Trademark protections extend to words, logos, symbols, graphics, phrases and other branding tools utilized to identify your company and/or its products within the marketplace. Like patents and copyrights, trademarks allow holders to benefit from exclusive intellectual property rights to the work for a certain amount of time. Like patents, trademarks are obtained by applying for relevant safeguards through the U.S. Patent and Trademark Office. And also like copyrights and patents, the process of securing these safeguards tends to be much more smooth and effective when approached with the help of a Charlottesville, Virginia IP attorney. If you are interested in obtaining copyright, patent or trademark safeguards for your original work, please consider scheduling a consultation with Dale Jensen, PLC today. The earlier you act, the sooner your work will be protected against infringement and the sooner you will personally be protected against claims that you are infringing upon someone else’s intellectual property rights simply for using your own work. We look forward to speaking with you. – Applying for Patents, Trademarks, and Copyrights. Don’t let your creative vision and hard work go unprotected. The IP attorney Charlottesville, Virginia relies on is experienced and competent at helping clients apply for and pursue patents, trademarks, and copyrights. Getting the appropriate protection for your creation is important to making sure that your intellectual property is not stolen or misappropriated. Get credit for your vision and set yourself up to fully capitalize on its value. – Litigation. Whether you are disputing ownership of your intellectual property or if you need to defend your patent, trademark, or copyright, the law office of Dale Jensen, PLC can work on your case. Although our attorneys are skilled negotiators and are prepared to take measures to settle your conflicts out of court to keep costs low and results fast, they are also prepared to fight for you in court. A Virginia IP attorney at the law office of Dale Jensen, PLC has represented plaintiffs in intellectual property cases in many matters in court. We are competent and skilled litigators who know how to get solid results for their clients. Litigation can be a difficult and intimidating process, but you and your intellectual property will be in good hands. – General business consultation. If you are just getting started with your enterprise, you may not be sure what you need to protect your intellectual property. Even you if you have been in business for decades, you may not have fully considered exactly what a comprehensive plan to protect your intellectual property might look like. A Charlottesville IP attorney can help you create a strategy to best protect some of your most valuable assets and we can offer you valuable advice as you move forward with your intellectual property. If you have a great idea, if you have worked for years developing a business image and name, or if you have written your first novel, consider calling the intellectual property attorneys at the law office of Dale Jensen, PLC today to schedule an initial consultation. Don’t take risks with your creative property: call the Charlottesville IP attorney residents rely on to protect and maximize your hard work.